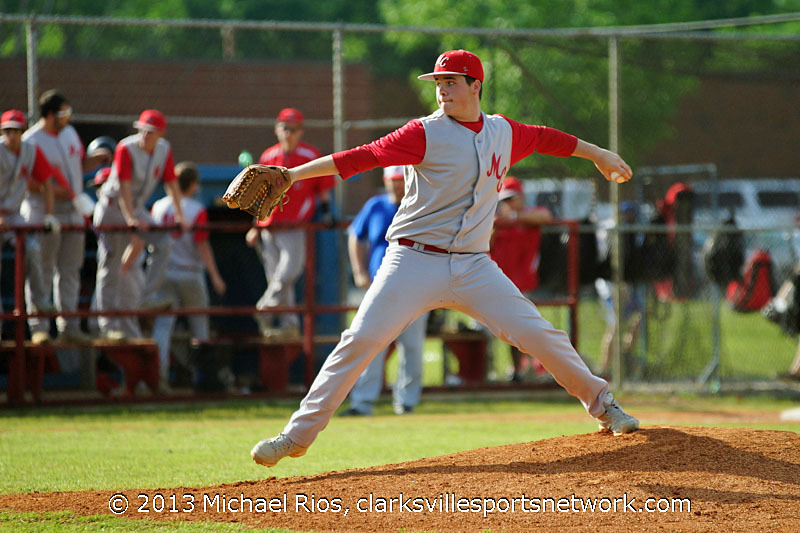 Cunningham, TN – They weren’t smooth or pretty wins, but they were gritty wins none the less, as the Montgomery Central High School’s baseball team came out of the loser’s bracket May 9th to defeat Harpeth High School twice – 15-7 and 7-4 – to win the District 11-AA tournament title. “We hit well in the first game and that’s been our strength all season,” Montgomery Central coach Todd Dunn said. “The second game was kind of like how our season has been all year. With the wins, Montgomery Central (23-17) will host District 12-AA runner-up Marshall County May 13th, 7:00pm, in the semi-finals of the Region 6-AA tournament, while Harpeth will have to travel to Spring Hill for its region-opening game. In the second championship game things didn’t start off well for Central, as Harpeth (14-15) scored four runs on four hits – highlighted by a two-run double by Tanner Newton. Central would respond in the bottom of the inning, cutting the deficit in half with two runs of their own. Jessie Beck would get the inning going with a single and move to second base on a balk and to third base on an infield ground out. That brought up Chris Patterson — who ripped a double into left field scoring Beck – and an out later scored on a double by Devin Prewitt to make it 4-2. Coach Dunn would make one of the key moves of the night heading into the top of the second inning by bringing Zach Norfleet back in to pitch – after he had come into the first game in relief and pitched the final two innings — needing to shut Harpeth down and give Central a chance to rally. And shut them down he did, as he scattered seven hit over six shutout innings of work – but also aided by Central right fielder Ben Drudy, who threw out two runners at the plate to end both the second and fourth innings to keep Central from falling any further behind Harpeth. Montgomery Central would chip a little bit closer in the third inning, scoring a run on a ground ball by Prewitt to make it 4-3. But it was the fifth inning where Central took the lead for good, scoring four times on four hits – while Harpeth hurt itself with three errors in the inning. Santino Miranda and Beck had RBI singles in the inning, while the other two runs came across on Harpeth errors. That would be all the runs that Norfleet would need, as he closed out Harpeth in the sixth and seventh for the victory. 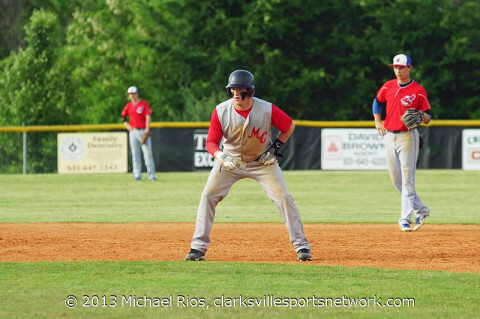 In Game 1, Montgomery Central broke open a 5-4 game with eight runs in the bottom of the fourth inning to go up 13-4 and was never really threatened again, despite two home runs by Harpeth’s Ethan Hurt. Harrison Ramsey would lead the way for Central in the opening game with two hits and three RBI, while Prewitt scored three runs and had two RBI. Every player in the Montgomery Central lineup either scored or drove in a run.